»» Download Paragon Disk Wiper for free! Paragon Disk Wiper ::: a computer program that allows users to permanently delete all information from the hard drive. Using Paragon Disk Wiper, you can make deleted data become unrecoverable. »» Download Paragon Drive Copy for free! Paragon Drive Copy ::: a computer program that allows users to clone hard drives. Using Paragon Drive Copy you can make identical copies of the entire disk or you can just copy the partitions. »» Download GIRDAC PDF Converter for free! GIRDAC PDF Converter ::: a computer program that allows users to create PDF documents. Using GIRDAC PDF Converter you can convert any type of digital document to PDF. »» Download Comodo System Utilities for free! Comodo System Utilities ::: a computer program that allows users to manage and improve PC performance. Using Comodo System Utilities, the computer will be much faster and more stable. »» Download PDFill FREE PDF & Image Writer for free! PDFill FREE PDF & Image Writer ::: a computer program that allows users to create PDF documents. Using PDFill FREE PDF & Image Writer you can create PDF documents from any application that supports printing. 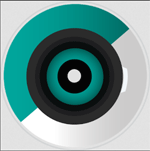 »» Download AudioCool Audio Converter for free! AudioCool Audio Converter ::: a computer program that allows users to convert audio files. Using AudioCool Audio Converter you can convert between different audio file formats. »» Download Total Movie Converter for free! Total Movie Converter ::: a computer program that allows users to convert between different video files. Using Total Movie Converter you can convert between different video formats, the program is compatible with the most popular video formats. »» Download Total Image Converter for free! Total Image Converter ::: a computer program that allows users to convert photos. 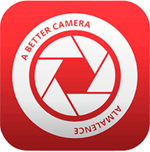 Using Total Image Converter you can edit or convert between different photo formats. »» Download WaveMax Sound Editor for free! WaveMax Sound Editor ::: a computer program that allows users to edit sound. Using WaveMax Sound Editor you can add special effects, apply different filters and improve audio files.